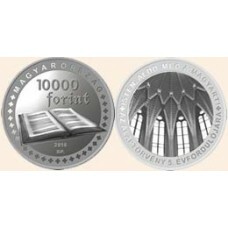 Have you ever thought what a nice gift for the coin? 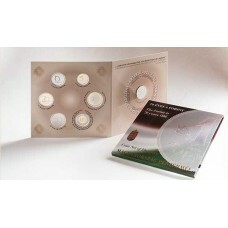 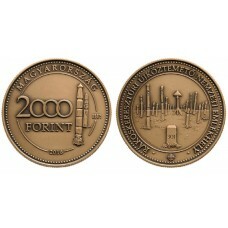 Take the opportunity, the gift of a beautiful coin! 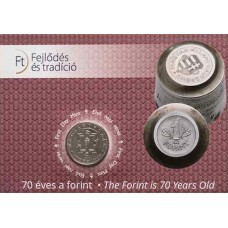 Birthdays, name days, wedding anniversary, Valentine's Day, Christmas and other occasions, the most beautiful gift of a beautiful coin! 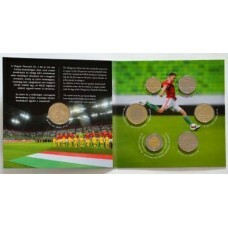 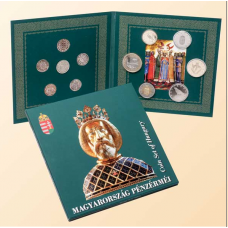 Think in advance of the actual occasion, select and order the correct coins! 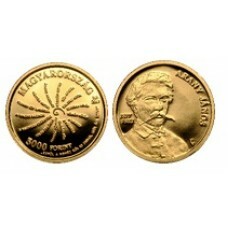 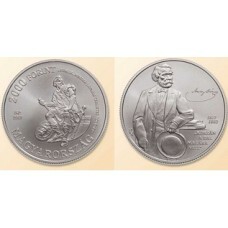 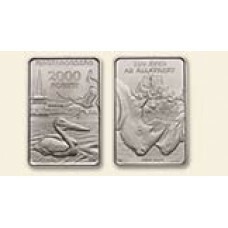 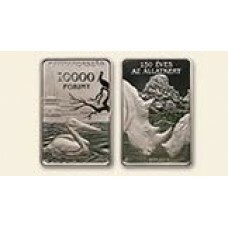 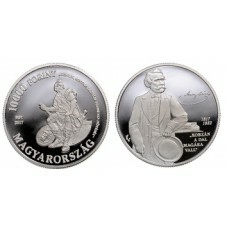 150 years Zoo PP - Ag (silver coin)Face value: HUF 10.000Designer: Kereszthury GáborMetal & fine..
5 year old Fundamental Law of Hungary - Cu-Ni non-ferrous metals coinFace value: HUF 2.000Designer: ..
70 years of Forint coin - Cu-Ni non-ferrous metals coinFace value: HUF 50This mint set contains lega..
70 years of Forint coinsett - Cu-Ni non-ferrous metals coinThis mint set contains legal tender coins..
A 44 év óta újra Európa bajnokságon részt vevő csapat buzdítására és eddigi elért eredményei előtt..
2016 Rákoskeresztúr New Public Cemetery National MemorialRákoskeresztúr New Public Cemetery National..
St. Marton - Ag (silver coin)Face value: HUF 10.000Designer: Ferenc LebóMetal & fineness: Ag .98..
St. Marton - Cu-Ni non-ferrous metals coinFace value: HUF 2.000Designer: Lebó FerencMetal & fine..
200th Annyversary of the Brith of János Arany silver coinFace value: HUF 10.000Designer:Metal ..
2017 200th Annyversary of the Brith of János Arany - Cu-Ni metals coinFace value: HUF 2.000Designer:..
<strong>Arany János születésének 200. évfordulója aranyérme</strong> Névérték: 5.000 F..
Magyarországon megjelent alkalmi 50 forintos érme változatai.2018-2004 Alkalmi 50 forintos, érmeszet..
Nemzeti Emlékhelyek érme szett (5 db)2018. 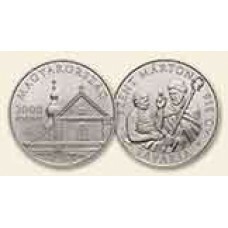 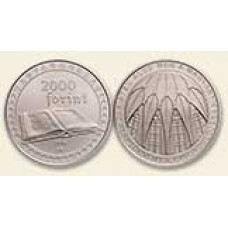 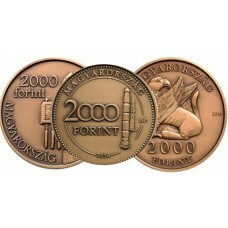 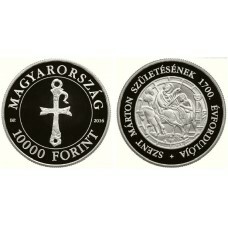 Kossuth tér Nemzeti Emlékhely – CuNi színesfém érmeMegj..
5 year old Fundamental Law of Hungary - Ag (silver coin)Face value: HUF 10.000Designer: Ifj. 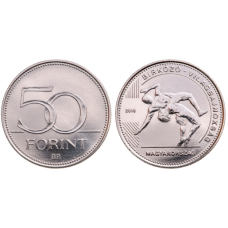 Szlávic..
150 years Zoot Bu - Cu-Ni non-ferrous metals coinFace value: HUF 2.000Designer: Kereszthury GáborMet..
2017 I. Szent László coin settThe last member of the family of 2017 is the proof line issued in hono..